College visits are a great opportunity to identify first-hand whether or not a particular college is the right fit for you. Before embarking on a campus visit, it’s key to develop a checklist of what you hope to accomplish: come prepared with questions to ask your tour guide or various campus representatives, interact with current students, sit in on a college class, and connect with professors. Hoping to make the most of your campus visit? Keep reading to discover your complete college visit checklist. In addition, the students at the college you’re visiting will be your best resource. Ask them what their favorite thing about their school is, as well as one thing they wish they could change. 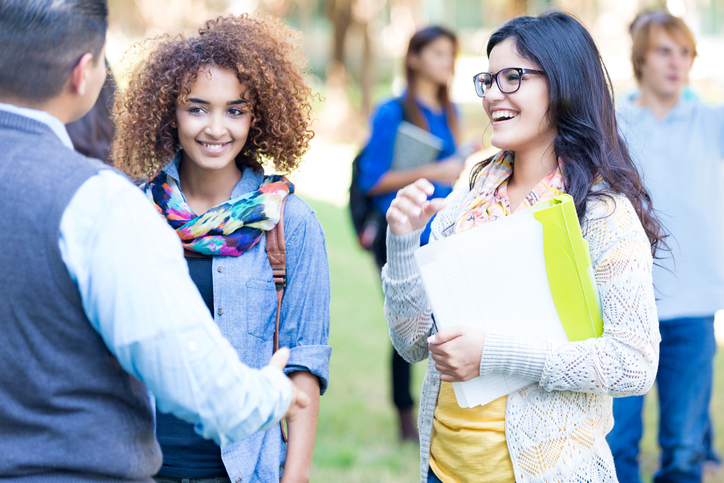 By embarking on your campus visit with a well-planned list of questions, you’ll be able to engage in more thoughtful conversation on the visit and have a better experience overall. Sitting in on a college class is a great way to get a better understanding of the school. It can also help you get a better grasp of what you’re looking for in your educational experience at college. For example, if you’re coming from a very small high school, you might be excited to experience a lecture hall with many students. Or perhaps you’re looking for a specialty program in the performing arts. Sitting in on an acting class can give you a direct sense of the philosophy of the school and aid in your upcoming admissions decision. If you’re able to attend a class, introduce yourself to the professor afterwards. Generally, professors will be happy to chat for a few minutes and answer any brief questions you may have. They can be a great resource and provide unique insight into the school experience. They can also point you toward certain programs and classes to check out, and offer reasons this specific program stands out at this school. 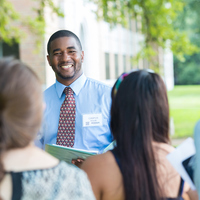 Many universities will offer you the chance to connect with a counselor of a particular department within the university. Don’t pass this up—they can be a great resource in answering specific questions about your intended area of study. They know exactly what kind of courses you have to take to graduate, as well as whether you will have room in your schedule for a double major or minor. Prepare some thoughtful questions so that you can come away with helpful information. This might not be the only college you visit. Sometimes, the campuses all start to blend together. While you’re on the visit, take pictures of the campus and other notable sights you want to remember. Also, take notes after your visit to help you remember what you liked—and what you didn’t—so that you can factor all this information into your final decision. Many colleges offer an overnight visit in which you can stay with a student. This is a fantastic way to explore the student life at a particular school before committing. You can experience the dorms, dining halls, classes, libraries, and all that a school has to offer. It’s also a great way to see how the students spend their free time on campus. Amherst College, Bachelor in Arts, English.